This site is for information purpose only. MachuPicchu-Inca.com does not offer any Tour or Packages. Until recently bus service in Peru was not up to the standard. Even the roads were not not in suitable for long journey. Though situation has been improved dramatically within the last 4/5 years, still I will recommend you to fly by plane inside Peru, if you can afford. Distances between cities in Peru are quite lengthy. So you will loose a good amount of precious time on just reaching one city from another. But there are some good side too. Bus tickets are really very cheap ( comparing to the western countries). You can buy a ticket for only $20 from Cusco to Arequipa, and I forgot to mention, in recent years they have started luxurious buses in Peru in most of the routes. 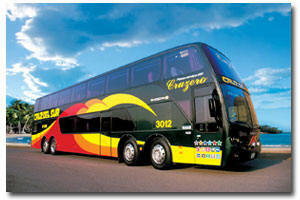 So if two conditions are met you should choose bus for travel inside Peru. You have sufficient time and you don't have enormous money ( to buy plane ticket). Oh.. I forgot to mention about train. Train is little more expensive than bus, but certainly much more enjoyable. Only problem is train is available in few routes only. Train service is available mainly between Cusco, Puno, Arequipa and Machu Picchu. 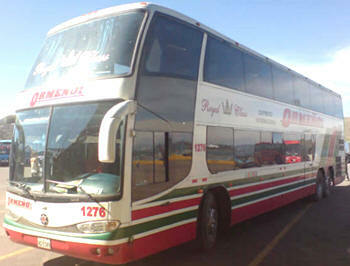 There are many bus companies operating in Peru. But no one has services to all the routes. So depending on the route you are looking for you have to find the best operator for that route. Usually Cruz del sur and Ormeno is good in most of the routes. They have big fleets which cover most part of the Peru. Both of them have high quality buses in their fleet. Probably the best bus service in Peru. They three services cruzero, imperial and ideal. Cruzero is a two level bus, and very very comfortable one. It is a 2 levels Bus. Here in first Level they have VIP Salon or sofa-bed seats and in second level bus bed seats. 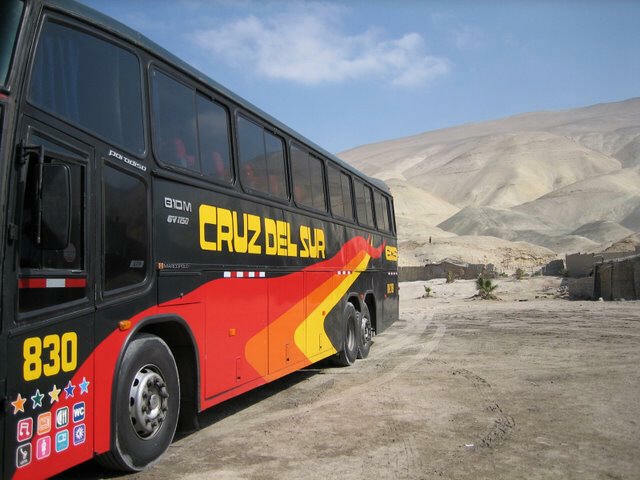 Cruz del sur operates from all cities in Northern Peru. But Cruzero and Imperial service is not available at all locations. You can buy your ticket from and to any locations from their website now. Ormeno has three services, Royal, business and economy. Royal has cama (bed) or semi cama (semi bed) service. Ormeno also is a good company. Only problem is that sometime they are not in time. 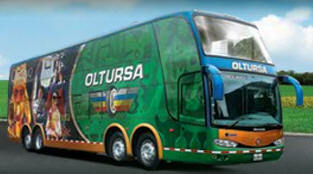 Oltursa is another standard service in Peru. They don't have buses in all route, but still they cover most major cities. Incas developed a system of accounting, where from a series of chords and with knots of different color and various thickness, they kept exact records of different transactions.